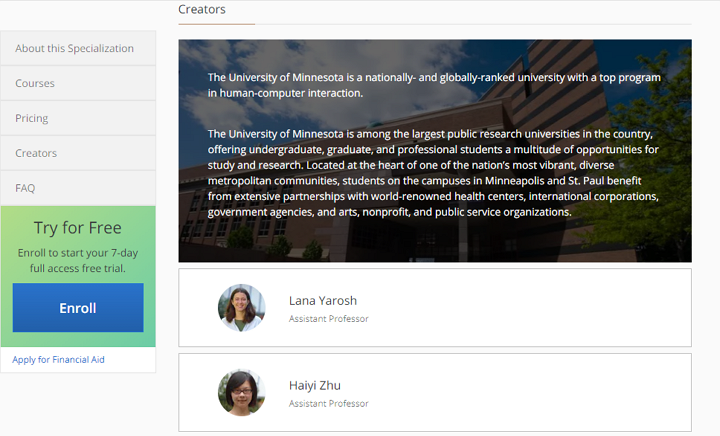 This article includes 6 FREE UX design courses form top universities around the world. To become an excellent UX designer, you need to master many necessary skills. Mastering these skills requires hands-on practice. More than that, though, it requires adequate guidance from industry experts. However, educational resources in the UX design industry are scarce, and only a few people have the opportunity to receive professional education. This UX design course has a high rating of 4.3/5 on Class Central. 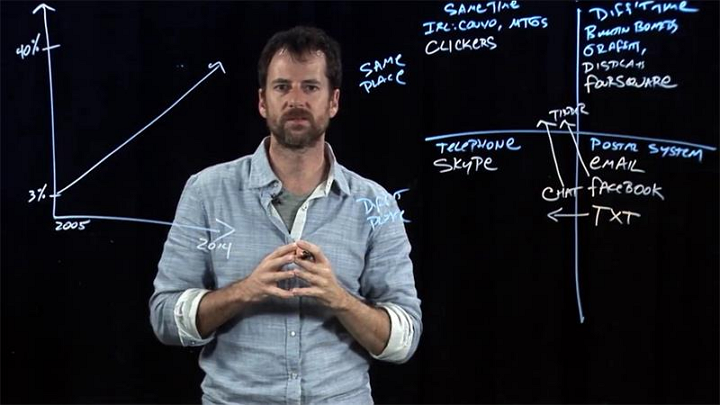 In these 8 high-quality classes, Professor Scott Klemmer professionally and systematically describes how to create a good user experience design from the perspective of interactive design theory and practice, cognitive psychology, user interface design, and human-computer interaction. In this course, you will learn how to analyze and research user requirements, how to draw prototypes, some principles of user interface design and strategies for design evaluation. It is best if you can seriously complete the small tests and tasks that are required in this course. 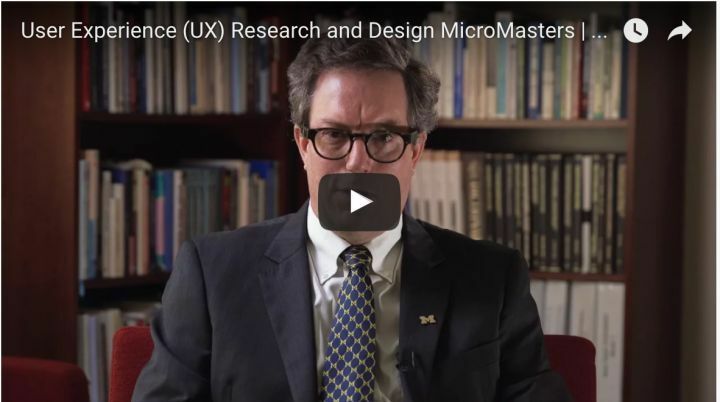 This UX design course was first published by EdX in the fall of 2016 by the School of Information, the University of Michigan. You need to pay 1041 knives if you want to get a "graduation certificate" validated by the University of Michigan after completing this course. If you don't need a certificate, you can participate in this course for free. This course has high-quality and in-deep content, and meanwhile, there are a lot of small tests and practices exercises. Participating in frequent mini-tasks allows you to really learn a lot of skills. 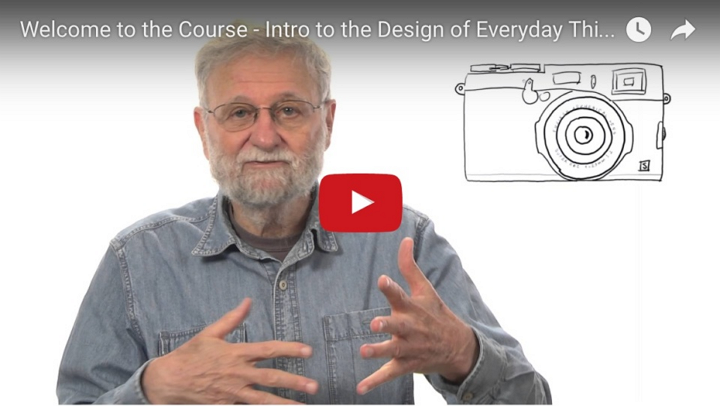 This UX design course is made by Don Norman, and its content is mainly from the first two chapters of his popular book "The Design of Everyday Things". If you really don't want to read the book, you can take this course. Its style is relatively easy, and its rich cases will inspire you. This course will provide you with the knowledge needed to start recognizing the role of design in today’s world, and to start making better design decisions in your own life. In addition to learning basic design concepts such as affordances and signifiers, you will also gain experience in observing and applying design principles. 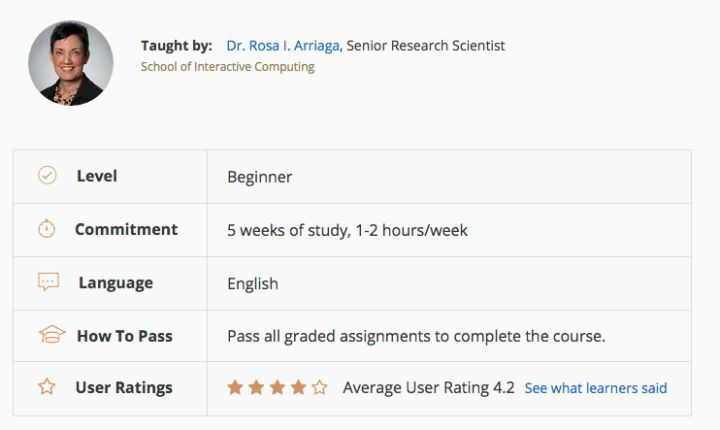 This UX design course is led by Dr. Rosa Arriaga, a senior scientist at the School of Interactive Computing, Georgia Institute of Technology. The main target audience of this course are those who have heard the word "user experience (UX)" but who do not know--or have little knowledge of--it. That design is a systematic and data-driven process is the point the course aims to teach. Focusing on this goal, the course will start from the basics and explain exactly why design is a systematic and data-driven process, how to make technology and design serve each other, what kind of design can satisfy users, and how to judge whether the user's needs are satisfied. This UX design course helps you to systematically learn how to understand user needs (eg. situational interviews and design psychology), common prototyping methods, how to use scientific methods to evaluate and select designs (eg. heuristic evaluation and user study). Reflect on how Agile principles will improve your own projects.